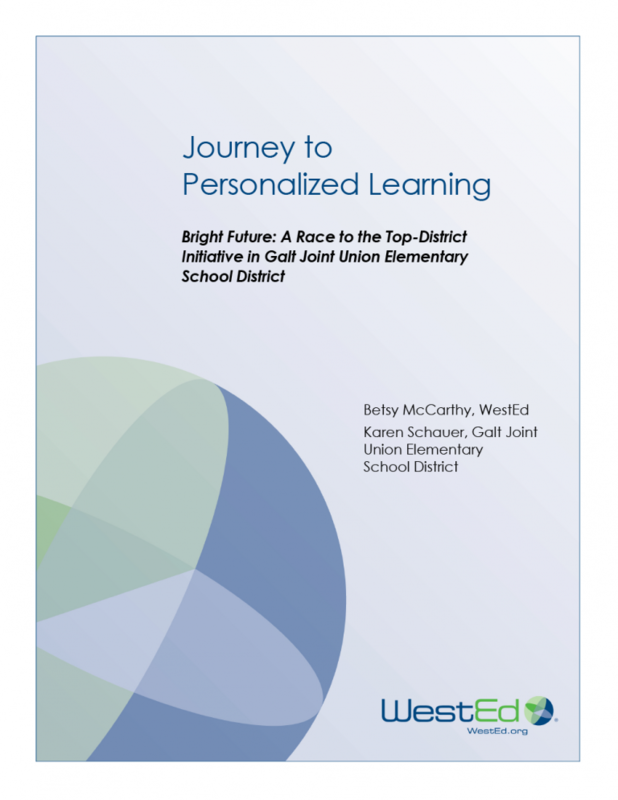 In 2012, the Galt Joint Union Elementary School District (GJUESD) in Galt, California was selected as one of 16 districts in the United States that received a federal Race to the Top-District grant to improve student learning through a districtwide initiative focused on personalized learning (PL) for students and educators. 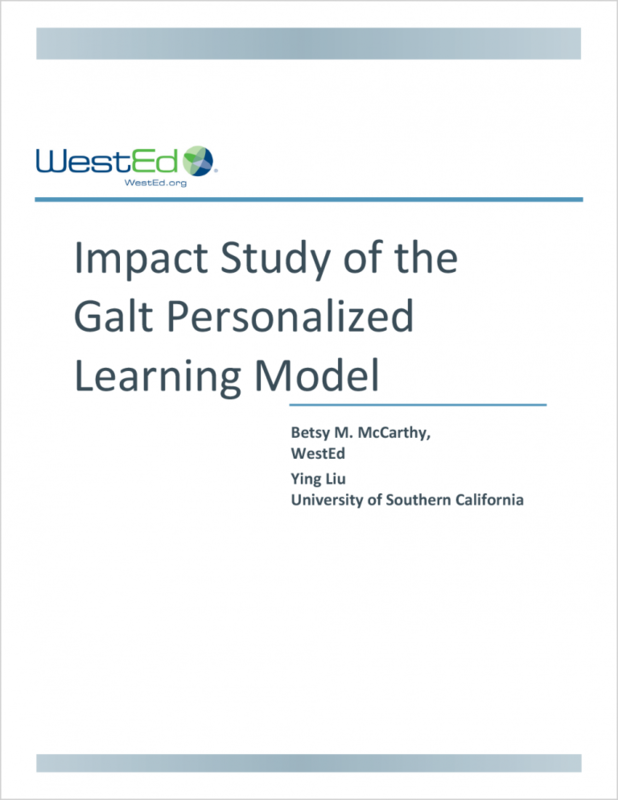 Located in California’s San Joaquin Valley, Galt has a diverse population of approximately 3,900 students. To implement the four-year initiative, the district made profound, coordinated changes to district, school, classroom, and out-of-school policies and practices. The efforts coalesced as a unique and integrated strengths-based PL model designed to support every student’s strengths, aspirations, and individual learning needs. The study used longitudinal student achievement data from district students, along with data from a matched virtual comparison group — that is, a group created using a national database from a widely used assessment vendor — to measure the effect of the intervention on students in the areas of mathematics, reading, and language usage. 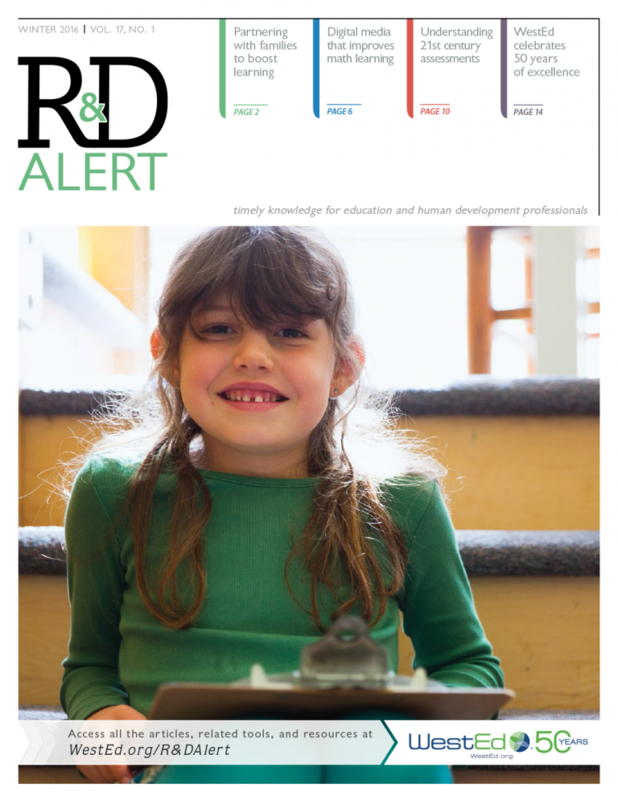 Family engagement, digital media in preschool math learning, 21st century assessments, and WestEd's 50th anniversary are highlighted in this issue of R&D Alert.